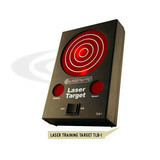 Recently, I decided to try out this product, the Laserlyte Laser Training System. I ordered the target and the cartridges for both 9mm and .45 caliber pistols. This is really a great tool for dry fire practice! I can practice in any room of the house, and get immediate feedback. This is much more effective than dry fire alone. If you want to practice your fundamentals in the comfort of your own home, this is definitely worth considering. The initial investment is a little high, but compared to ammunition, it’s quite reasonable over the long run. Allows keep live ammunition in a separate room when practicing, and ALWAYS VERIFY THE GUN IS UNLOADED. The holidays are a particularly busy time for most people. Shopping, socializing and traffic, all increase this time of year. Malls, restaurants, and parking lots may all become prime locations for criminal activity. Maintaining physical security can be a challenge. Criminals most commonly choose their prey based on vulnerabilities and location. Awareness is the key to your physical security. Observe your surroundings and the people in the area close to you. Avoid people who are loitering, particularly near your home or office. Keep a reasonable distance, and look around before entering or leaving buildings or areas. Trust your intuition. If something doesn’t feel right, it probably isn’t right. ALWAYS have a cell phone with you. Location and situation can determine your level of awareness. In your home, watching TV, you may be unconcerned about your surroundings; and your level of awareness may be low. Walking the dog in a familiar park or neighborhood during the day, your level of awareness may be at a moderate level. At night, your awareness may rise to a high level. If you see suspicious behavior, your awareness will most likely rise to an alert level. As we go about our normal routine, day in and day out, it is possible to become complacent and settle into a low level of awareness. When this happens, we become a more desirable target for criminals. Every crime has variables that make it unique. By increasing our awareness, we increase our chances of avoiding criminal activity. Of all the variables of a criminal confrontation, the easiest to control is your environment. Criminals like dark, isolated places. Avoid or approach cautiously any entryway, hallway or parking area where normal lighting is not functioning. Removing or breaking lights in such places is a common tactic of criminals. If you find it necessary to be out in the evening, consider taking a friend along to accompany you. Don’t look like an easy target. Keep your head up, and look others directly in the eye. Alert, confident people do not make appealing targets for criminals. Maintain your personal space. Set a boundary of three feet, and if someone moves inside it, simply move away. Don’t compromise. Two feet or less in Western society is considered intimate. Decide and plan a course of action ahead of time in the event someone persists on violating your personal space. This may include running or defending yourself physically. Keep in mind: Physical confrontation results in pain/injury, regardless of the outcome. Mental preparedness and conditioning are extremely important in survival situations. Decide ahead of time how you will react to any given situation. A plan is a starting point in developing awareness. It engages the brain so the body can start moving. Visualize, plan, act it out. Develop your own Personal Defense Plan. Mental conditioning, like physical conditioning, requires practice. The moment a confrontation is occurring is not the optimum time to start thinking about how you will react. If you chose to use a personal protection device, be informed ahead of time of the legalities for your state. Know how it operates, obtain professional training, and practice. Always consider all the ramifications and outcomes of any actions taken during a criminal confrontation: Legal, moral and physical. An inside the waistband (IWB) holster will conceal the gun better than an outside the waistband (OWB) holster. IWB holsters are held close and tight to the body by a good belt. 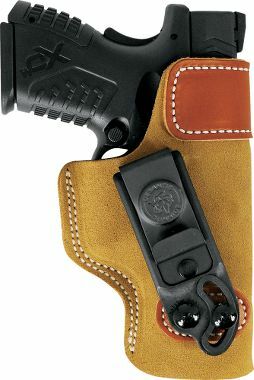 The location of the holster will be determined by personal preference, but for best concealment and safety, a position just behind the side belt loop, on the strong side, is recommended. This will allow for the gun to be presented without sweeping yourself or others. The holster/gun will fit nicely into the contours just above and below the waist line of the pant with minimal bulge. Again, the need for a good belt cannot be emphasized enough as it will provide comfort, gun retention and discretion. Belt clips don’t secure as well as leather loops, but may provide for more ease of removal. Other important considerations include material used for construction, and “shielding” used to protect the gun from sweat; and bare skin from sharp edges. Leather has long been a popular choice by IWB wearers, but new thermoplastic materials have seen a recent rise in popularity as well. Some wearers claim the thermoplastic provides a quicker presentation; however, training is still probably the single most important factor. Guns of a slimmer thickness, such as the 1911, are often preferred for IWB carry. The fatter the gun, such as a large revolver, the more the belt is pushed out away from the body. This may cause some discomfort as well as pant slippage. Discretion may also be compromised. Frequently, the “cant” or angle of the gun when seated in the holster will play an important role in comfort, accessibility and concealment, particularly for women. Their hourglass shape often allows a horizontal holster to ride up higher than is comfortable, digging into the rib area. A slight forward cant may eliminate much of this effect. In some cases, it may be necessary to choose a gun with a shorter grip frame or bobtail. An effective self-defense system is comprised of five key elements. Your choice of personal protection device is one element. This may be a gun, knife, pepper spray, personal alarm, to name a few, or maybe all of these items. Another element is your choice of equipment to carry this device. Holsters, fanny pack, purses, pockets, etc., are all part of this element. Garment selection is yet another element. The last two elements are perhaps the most important: Awareness and training. Without them, the other elements may be ineffective in protecting you from harm. Assuming you have made the decision to carry concealed, and you have selected your preferred device, a gun, the next decision involves selecting a method for carry. Comfort, accessibility, mode of dress, and anticipated activities are all factors in the sometimes complex decision making process. Comfort and accessibility will, in most cases, drive garment selection. You will have to be willing to make adjustments to your wardrobe in order to carry a gun on your person. If you are unable, or unwilling, to make this adjustment, you may prefer a fanny pack, bag or purse. Daily activities, such as work or travel, will also influence your method of concealment. Garment selection is the foundation of a good concealment system. Without proper clothing, even the most expensive and comfortable holster and gun will not be effectively concealed. Concealed means concealed. Effective concealment clothing provides a good camouflage for your gun and holster. Your pants will need to fit properly and have stable belt loops. If you chose an IWB holster, your pants and belt will need to be about two inches larger than usual to comfortably accommodate the holster and gun. Fabrics with stretch, or inserts of elastic on the waist band, seem to adjust well to increased waist size due to concealed carry. It is advisable to always wear a sturdy belt with any holster. (Although, some very small revolvers or semi-automatics may work in an IWB without a belt.) Your belt should be made of stiff material, and the loops on the holster should fit snugly around the belt. Clothing worn on the top half of the body is going to provide the most effective means of camouflage. Layers are definitely most convenient. Seasons will determine, to a great degree, your choice of clothing and method of concealed carry. Winter is probably the easiest, as most people prefer larger, loose fitting, layered clothing. A knee or ankle length coat for cold weather is an excellent concealment garment. A large, loose fitting wool or cotton sweater does an adequate job of concealing most IWB holsters. Wool shirts, untucked, worn over undershirts or thermals can also provide adequate concealment. Vests are probably one of the most versatile forms of concealment for both summer and winter. A good concealment vest will hide your gun and holster, as well as provide additional pockets for extra accessories like a knife, keys or pepper spray. And many vests are made of light enough material that they may not need to be removed when entering a building from outside. This is something to keep in mind when removing a coat or other outer garment. Some extra time spent shopping should turn up some good options for concealment vests. http://www.511tactical.com/ offers some excellent choices for pants, shirts and vests, as well as other equipment. It may prove practical to have more than one option for concealment based on season, clothing choice, and gun selection. Accessibility is extremely important. If your gun is not easily accessible, it may not serve its intended purpose in time to protect you from harm. Accessibility is determined mainly by two factors. First the clothing you wear while carrying concealed. And second, your holster, or chosen equipment for carrying. Your clothing must allow complete access to your gun. This may require that your jacket be unzipped, shirt unbuttoned, or pullover top fitting loose enough to be lifted with ease. No matter which garment you chose, training and practice are the best assurance you have for success. Practice drills with an unloaded gun, to include sweeping garment out of the way and drawing, are necessary to stay proficient. 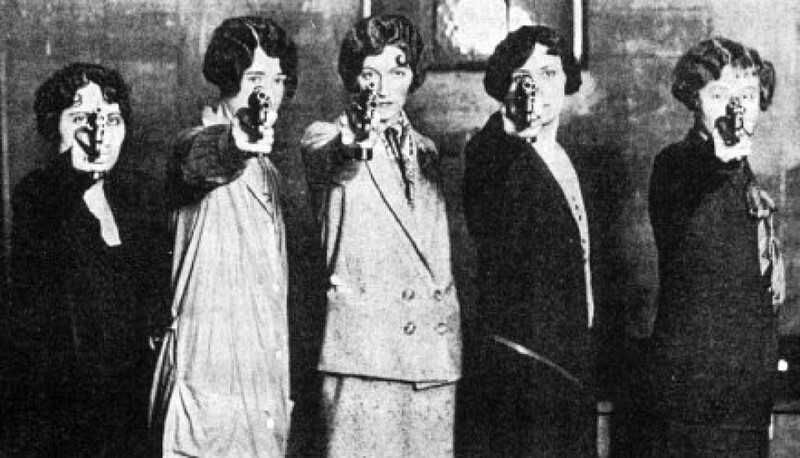 This is a great article on Women Shooting…..